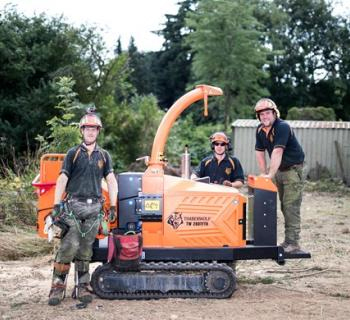 Timberwolf specialises in the manufacture of professional wood chippers and shredders. They have come a long way since their first chipper was introduced over 30 years ago. Today, and over 11,000 machines later, Timberwolf has succeeded in becoming the largest seller of commercial wood chippers in the UK and continues to grow globally. Timberwolf's innovative research and design process continues to set new levels of performance and quality within the industry. Leading performance and best residual value makes Timberwolf the undisputed best value for money machine in the market. A sample of the range of Timberwolf machines avaialble from Holt JCB are listed below or click here for the latest brochure, for more information please give your local salesman a call.